Want to be notified of new releases in react-native-training/react-native-elements? Follow these instructions to install React Native Elements! Start using the components or try it on Snack here. 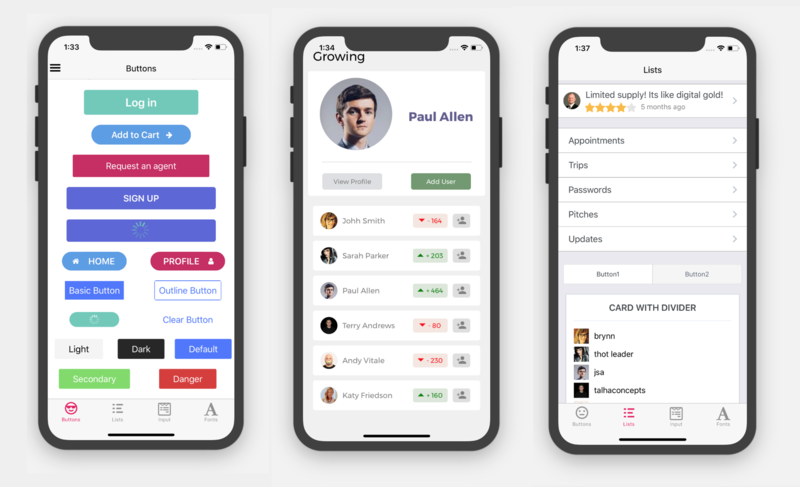 React Native Elements also serves as a platform that connects small teams/individuals that needs help developing their RN app with open source contributors that are willing to build complex UI screens & animated interactions for 💰💰💰. If this sounds interesting and you would like to participate, kindly open a new issue with the design & spec of the UI screen that you need to be developed. One of our developers will respond to your issue with an estimate of time & cost. It's built on top of RNE & Open Collective. If you have any feedback or would like to know more details about this kindly contact Monte Thakkar. As a cross platform UI Toolkit, you can now use RNE on the web & share your codebase between your React Native + React web apps. RNE components are rendered perfectly on browser. You can achieve this to target iOS, Android and Web by collaborating RNE and React Native for Web. Click here for a full walkthrough using React Native Elements + React Native Web. Checkout the official React Native Elements App on Expo which uses all of the React Native Elements components. If you are looking to contribute to the React Native Elements App, click here to view the implementation & run the RNE expo app locally. Interested in contributing to this repo? Check out our Contributing Guide and submit a PR for a new feature/bug fix. A big shoutout to all our contributors! You could be here too! We encourage everyone to contribute & submit PR's especially first-time contributors. Look for the label Good First Issue on the issues. Click here to see them. If there is something you's like to see or request a new feature, please submit an issue or a pull request.